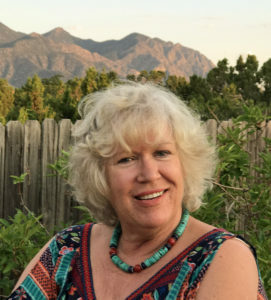 Myra has a technical background and worked in Engineering and Design organizations throughout her career until retirement in 2014. 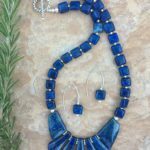 Her career provided an opportunity to travel globally and she made the most of her travels by researching jewelry styles and collecting gemstones from each region she visited with the hope of a new opportunity to come. 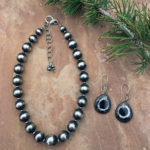 Myra has always loved jewelry and has been designing jewelry for the past 11 years. 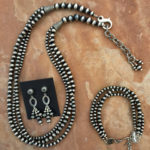 Her designs continue to evolve and appeal to her collectors. 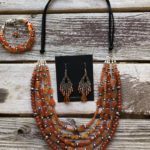 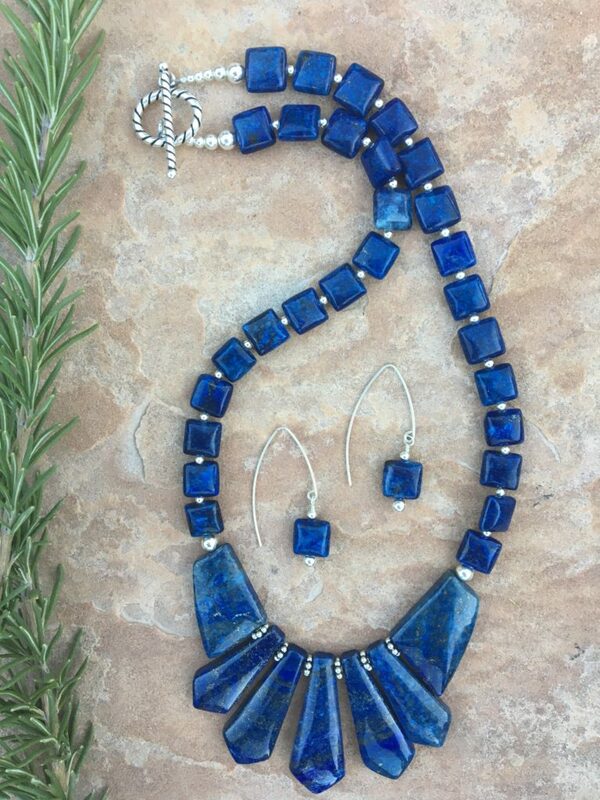 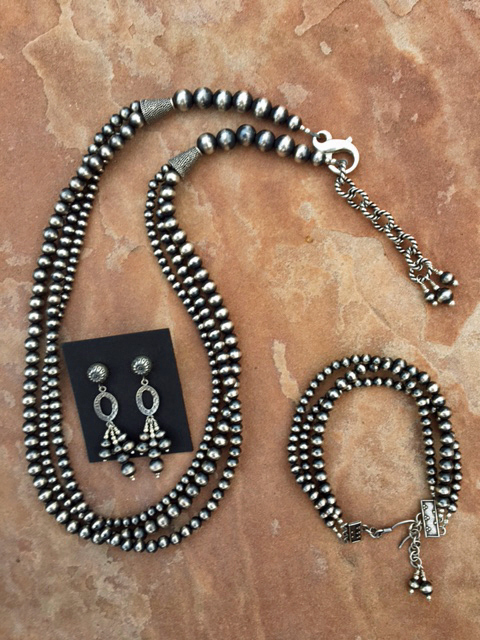 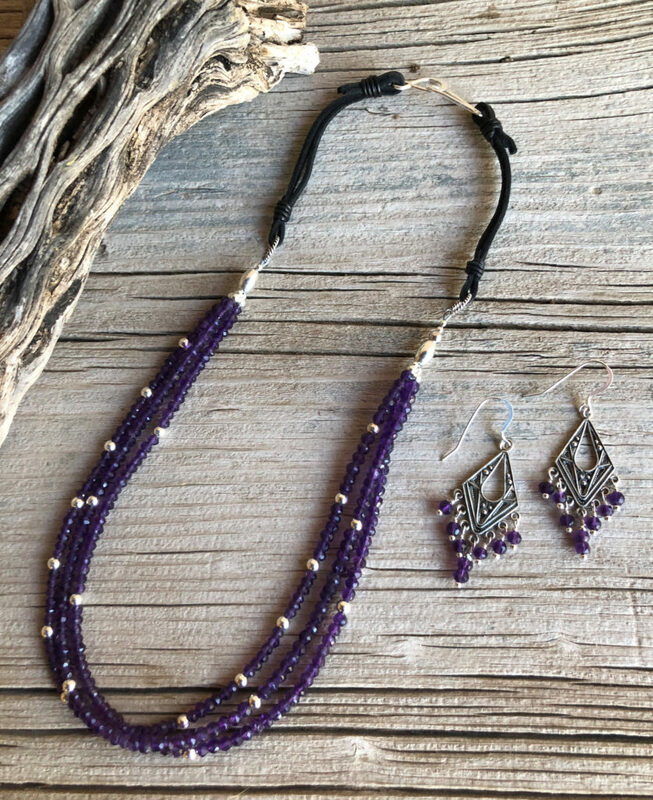 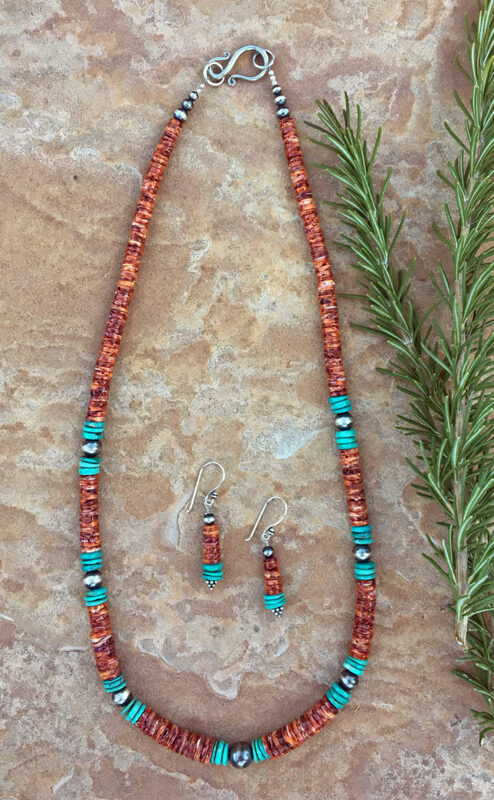 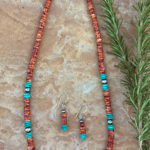 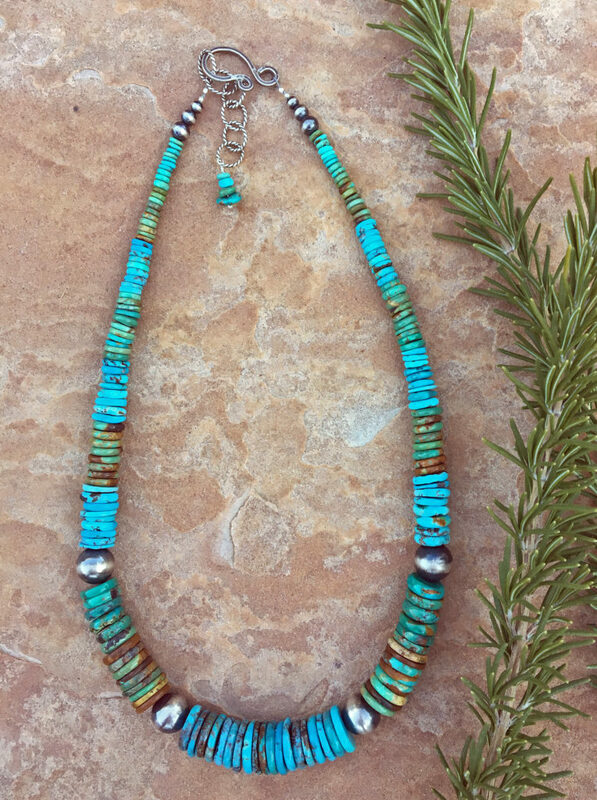 At Tierra y Luz Studio, Myra designs one of a kind, contemporary jewelry often with a southwest spin. 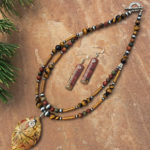 Her collections are popular across all generations. 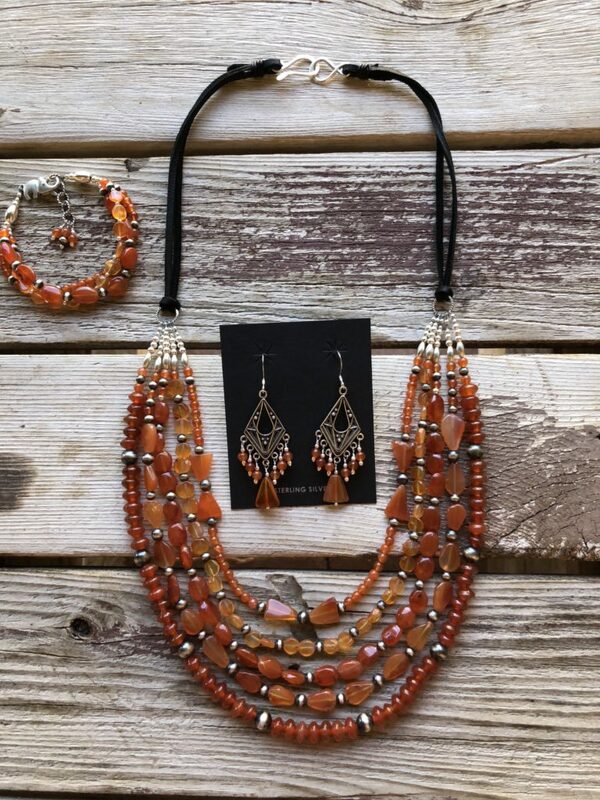 Among Myra’s collections, you will find unique combinations of semi-precious gemstones that bring together vivid colors of earthy yet refined harmony. 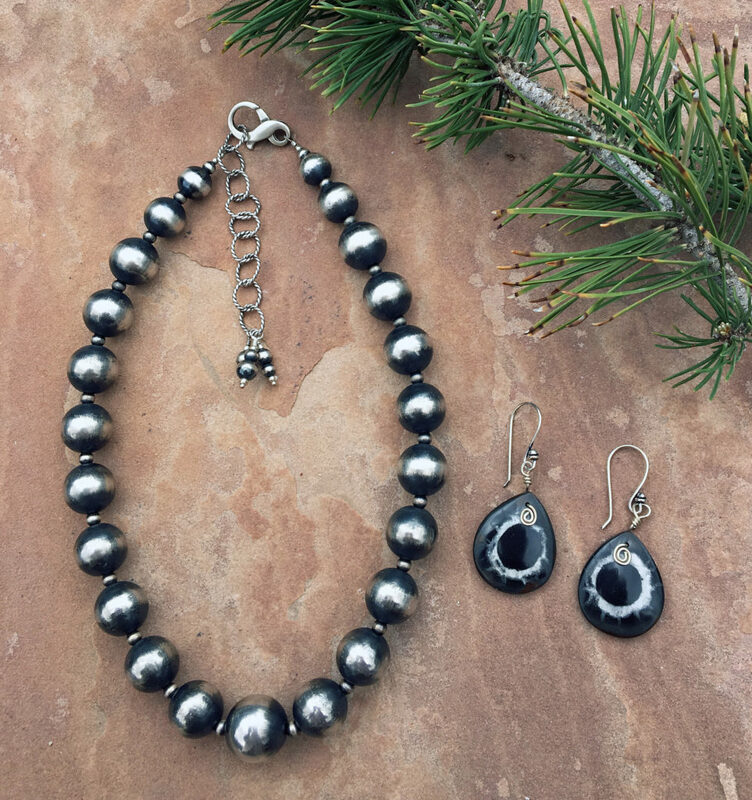 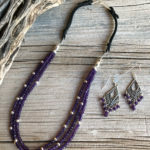 Often, Myra’s designs are a balance of rough and refined materials such as fine gemstones complimented with sterling silver and deerskin resulting in an organic and aesthetically pleasing design that is invitingly comfortable. 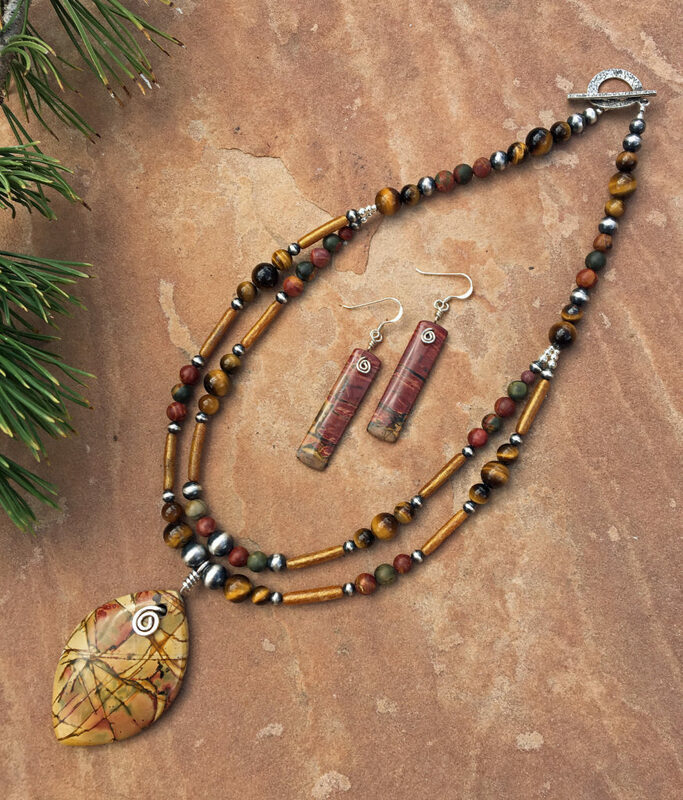 Myra’s jewelry collections are shown at Weems Gallery, Yucca Art Gallery and at her home gallery by appointment. 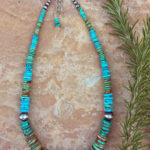 Myra also shows at Corrales Studio Tour, Placitas Studio Tour and Placitas Holiday Fine Arts and Crafts Show.